In this cupping we will taste all the coffees that are on the menu at the Visit. We will talk about flavor and preferred taste in specialty coffee. 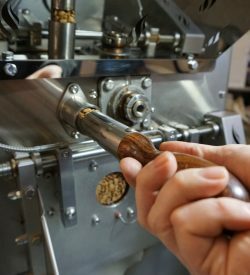 On this day we will go over roasting theory that we will put into practice straight away. We will be working with 1 type of coffee throughout the workshop. 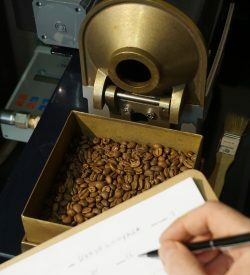 You will take home a 250g bag of roasted coffee from the day.